Design meets function. Beautifully formed insulated fabric roofs. 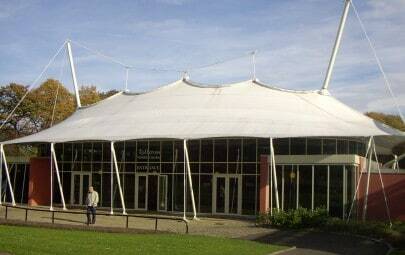 Long gone are the days when fabric structures were only used in large unheated spaces. 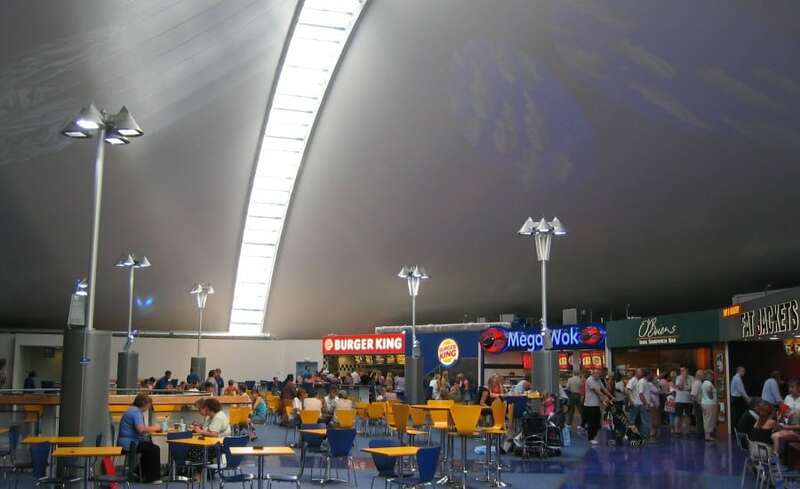 Thermal is a high performance system capable of meeting the strict thermal values of an insulated conventional roof, while retaining the virtues of sculptural form and clear span spaces. The technology behind Thermal is the use of multi-layers, ‘sandwiched’ together forming the external envelope for virtually any building. 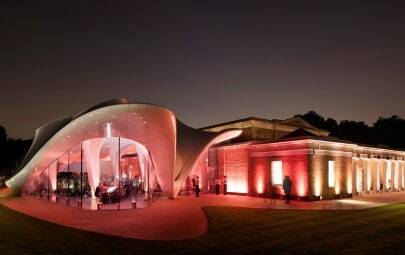 The layers include: an outer membrane identical to a normal tensile roof; an insulated multi-foil membrane suspended beneath the outer layer; and a lightweight inner lining giving the underside of the system a smooth elegant appearance. 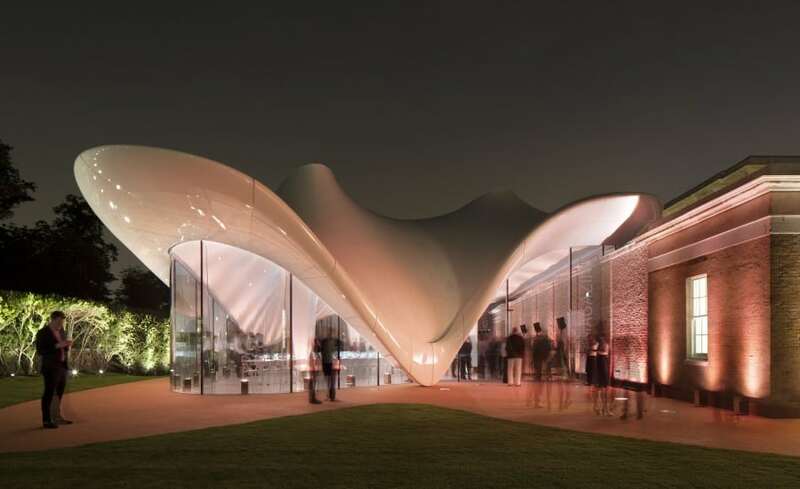 By overcoming the thermal limitations usually associated with fabric, Thermal becomes viable as a building material in areas previously ‘off-limits’ to membrane construction. Thermal meets Part L and can achieve U-Values up to 0.18. For more information on the fabric options which are compatible with this system, take a look at our Materials section. 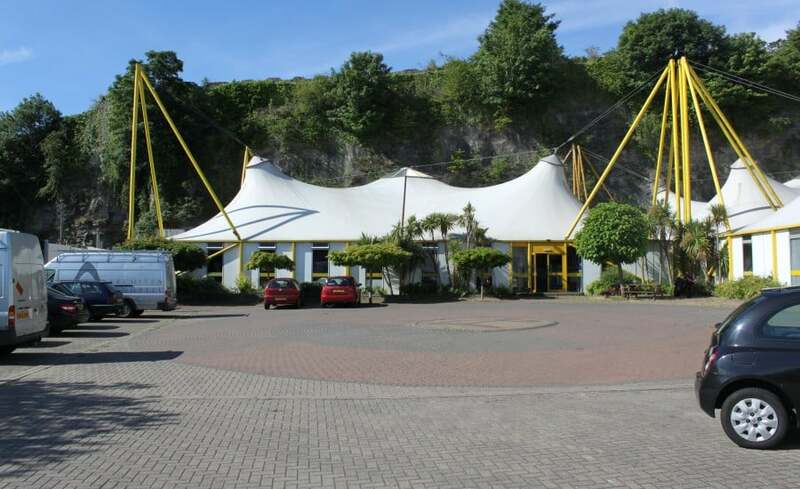 For bespoke projects or additional information, our experienced team will be happy to guide you through the specification of an Architen Thermal Tensile Fabric System.